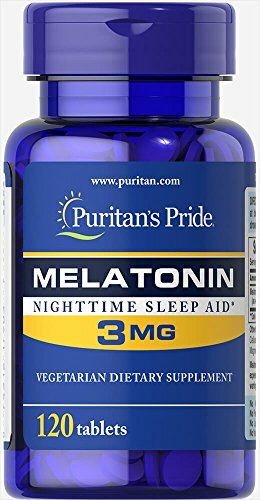 High quality Puritans Pride melatonin is the best sleep aid supplements, as it naturally calms the mind and stimulates restful sleep. There are no allergens, such as artificial colors, artificial flavor, sugar, yeast, gluten, starch, wheat, etc. It is recommended to take one tablet of melatonin nighttime sleep aid before going to speed. One bottle contains 120 tablets of 3 mg melatonin, which you can buy from Amazon supplements online shopping in Pakistan with cash on delivery.